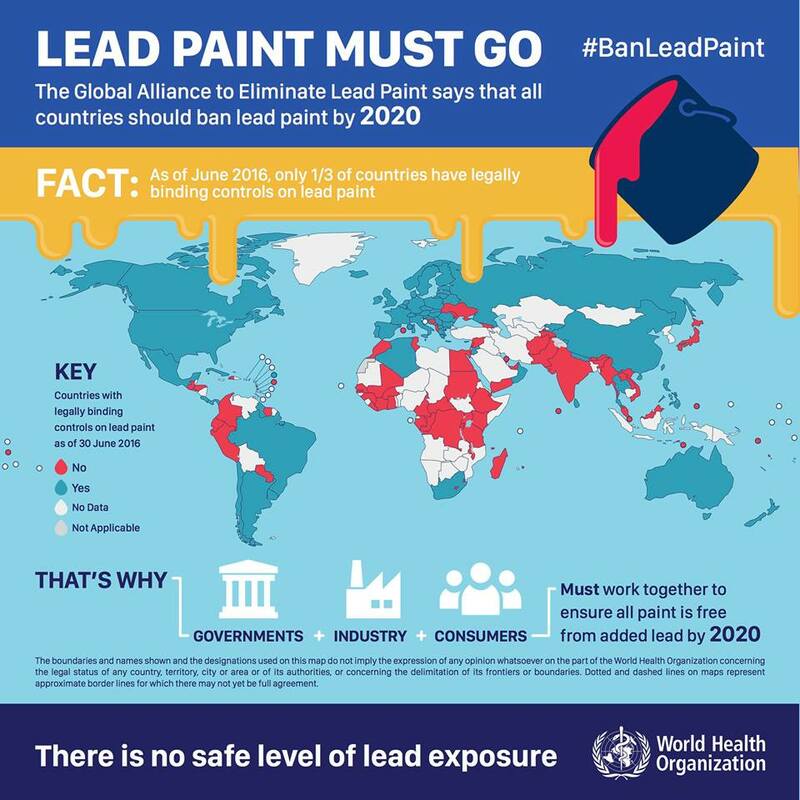 International lead Poisoning Prevention week of action - Ban lead paint !! The International lead Poisoning Prevention week of action is observed From 23 to 29 October 2016, with a particular focus on eliminating lead paint. The International Lead Poisoning Prevention week of action is an initiative of the Lead Paint Alliance. Urge further action to eliminate lead paint. Lead is a naturally occurring toxic metal found in the Earth’s crust. It has many uses, including in the manufacture of lead-acid batteries for motor vehicles, in pigments and paints, solder, ammunition, ceramic glazes, jewellery, toys and also in some cosmetics and traditional medicines. It also continues to be used in gasoline in a small number of countries. The processing, use and disposal of lead can result in environmental contamination and human exposure. As lead is an element, once released into the environment it is persistent. 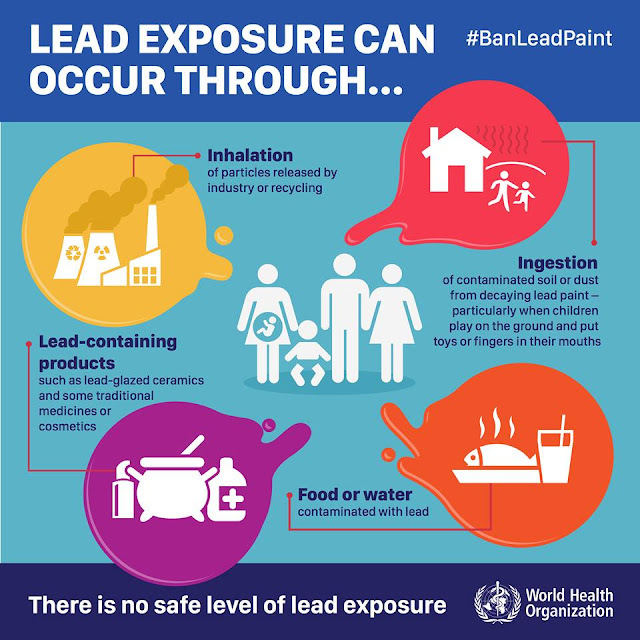 Lead poisoning refers to excessive human exposure to lead. The most common route of exposure is ingestion. Exposure may occur over a short space of time (acute poisoning) or over a prolonged period (chronic poisoning). No safe level of exposure to lead has so far been identified. As a consequence some health authorities define excessive exposure as having a blood lead concentration above the reference value for the population as a whole. This reference value is usually the geometric mean blood lead concentration found in the highest 2.5% or 5% of the population, i.e. the 97.5th or 95th percentile respectively. Lead accumulates in the body and affects practically all organ systems. 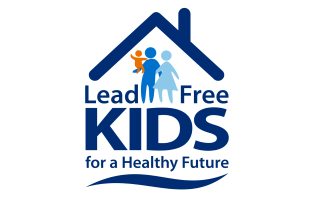 Lead exposure can cause chronic and debilitating health impacts in all age groups, but it is particularly harmful to young children. This is because the developing nervous system is vulnerable to the toxic effects of lead, even at levels of exposure that do not cause obvious symptoms and signs. Lead exposure in early childhood can result in reduced cognitive abilities, dyslexia, attention deficit disorder and antisocial behaviour. Lead exposure can also cause hypertension, renal impairment, immunotoxicity and toxicity to the reproductive organs. Absorption of large amounts of lead can cause coma, convulsions and even death. Children who survive severe lead poisoning can be left with permanent neurological injury such as deafness and mental retardation. The Institute for Health Metrics and Evaluation (IHME) has estimated that in 2013 lead exposure accounted for 853 000 deaths due to long-term effects on health, with the highest burden in low and middle income countries. IHME also estimated that lead exposure accounted for 9.3% of the global burden of idiopathic intellectual 2 disability (i.e. intellectual disability not due to known causes such as genetic factors), 4% of the global burden of ischaemic heart disease and 6.6% of the global burden of stroke. Lead has many uses; therefore, there are many potential sources of exposure. Important sources are environmental contamination from the informal recycling of lead acid batteries and from poorly controlled lead mining and smelting operations; the use of lead-containing traditional remedies; lead ceramic glazes used in food containers; and lead paint. Leaded gasoline used to be an important source of exposure but it is no longer used in most countries.